Ibn Battuta was a Moroccan explorer who traveled extensively throughout the known world. His accounts of his exploits were published in a book known simply as Journey. His travels lasted three decades, during which he visited many parts of Africa, Asia, and Europe. In all, he covered a distance about three times as great as Marco Polo, who lived at about the same time. 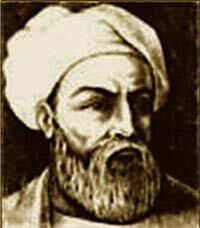 As such, Ibn Battuta is considered one of the great explorers of the medieval period. Ibn Battuta was born to a Berber family in Tangier, and received an education with a strong legal component. By the end of his childhood, he was ready to perform the pilgrimage to Mecca. He left for Mecca when he was 21 in 1325. After reaching Mecca the following year, having followed a route taking in both Syria and Egypt, he had become struck by wanderlust. Once he had performed his religious obligations, he traveled to western regions of Persia and Iraq, before returning to Mecca and living and studying there for three years. His next journey was by sea. Ibn Battuta traveled to Yemen along the coastline of the Red Sea. He then made stops in Aden and Mogadishu, as well as the numerous trading posts on the Horn of Africa. His return journey brought him back to Mecca in 1332, but not before he had visited Oman and other parts of the Persian Gulf. This time, he did not stay long in Mecca, instead traveling to Anatolia and making visits to Turkish religious orders and meeting local rulers. By now, Ibn Battuta was a thoroughly seasoned traveler, and his next journey was to prove his longest yet. He sailed over the Black Sea in order to see the Golden Horde’s lands in Crimea, paying a visit to the Caucasus to meet the khan himself. From there, he made another journey to the Horde’s capital city at Sarai, before heading out across the lands east of the Volga River. He spent some time in Afghanistan and Transoxiana, eventually reaching the valley of the Indus. Upon reaching Delhi, Ibn Battuta remained there for almost a decade, working as a judge. In 1342, he finally left the city and explored the central regions of India before following the Malabar coast as far as the Maldive islands. His next trip was even longer, taking in the island of Ceylon before moving on to Sumatra. From here, he went to China and spent a short time traveling there. In the late 1340’s and early 1350’s, he traveled almost non-stop. His final journey took him through the Sahara Desert to Niger. Reaching home in 1354, Ibn Battuta worked on the Journey, which was completed the following year. Only fragmentary evidence exists of the last few years of his life, although he is known to have acted as a Moroccan judge. After his death in 1369, the book of his travels fell into obscurity, and it was not until the 19th century that parts of it were printed. More details were rediscovered by the French in the 1830’s, during their occupation of Algeria. After the publication of a joint Arabic-French edition in 1853, Ibn Battuta’s reputation as one of history’s greatest explorers was revived, and his legacy is now secure.